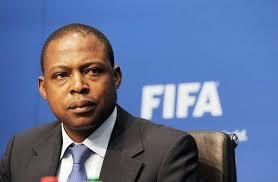 January 29 – FIFA has staged a rare u-turn by reducing the two-year ban on Zambia’s former African Footballer of the Year, Kalusha Bwalya (pictured). Back in August, Bwalya, then a Confederation of African Football (CAF) executive committee member , was banned following an investigation into his links with disgraced ex-Asian football boss Mohammed Bin Hammam and fined CHF100,000. Bin Hammam was president of the Asian Football Confederation and a member of the FIFA executive committee when he allegedly paid the Zambian in his bid to oust Sepp Blatter. The Qatari was later banned for life. Following his own ban, Bwalya, African Player of the Year in 1988 and later coach of the Zambia national team and then president of the Zambian Football Association, said he would fight “tooth and nail” to clear his name. His fine was also was cut to CHF10,000, presumably meaning FIFA had to pay back the rest. Bwalya was forced to withdraw his candidacy for a FIFA council seat during the investigation but according to local reports, he will now regain his position on the CAF Executive Committee.